(Text automatically translated) Beautiful mansion, restored in the colors of South independent, close to walls, flowered garden of 1500m ². In the village. "A very lovely, quiet, peaceful location. The house has all the amenities to make for a good holiday. The town itself is a little bit sleepy, but the people are very friendly! There are many trips to be made from this location. All in all a great comfortable visit." "We had a wonderful holiday here in the Spring. We loved the village and my children loved staying here so much they wanted to live there forever. On one of the days there was a fantastic market in the street just outside... It was clean and very roomy and romantic... if you like rustic accommodation (creaky boards, chipping paint) you will like it here. It was very peaceful and relaxing and we hope to go back again!" 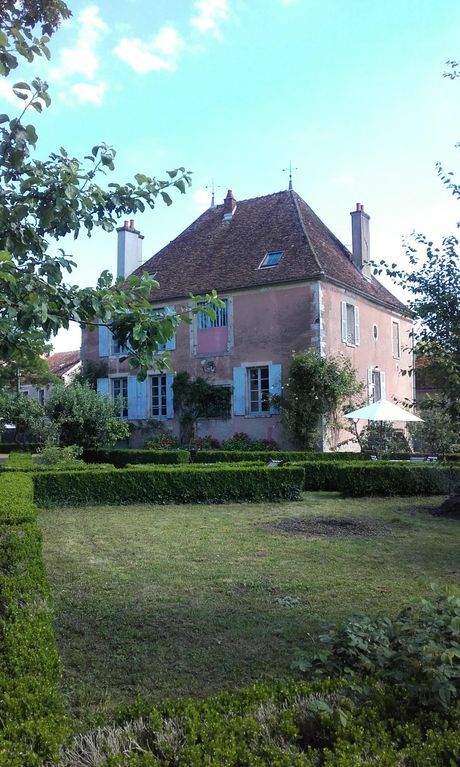 "We had a perfect stay in a wonderfull French House! It is located in the middle of the village and we enjoyed the fireplace. In the village we found the best boulagerie of all France!" "The house was kept very clean, situation perfect, calm and very comfortable." Calme, détente c'était "comme à la maison" ! Calme, détente, feu de cheminée, bonne literie, c'était parfait. Aux pieds de commerces de proximité. Superbe maison et jardin ! Accueil de Lydie tres agréable, maison d'une propreté impeccable, très bien équipée. Contact suivi et agréable avec la propriétaire. Situation idéale proche des commodités ! Merci Melita ! (Text automatically translated) From Paris, A6 (direction Lyon) and A77 (direction Nevers). Exit 21 (direction Saint Fargeau) Entrains is 27 km after the motorway exit. Au prix de location s'ajoutent 60 euros pour le ménage en fin de séjour (obligatoire). En outre les locataires peuvent choisir d'importer leurs draps ou les louer (7 euros par lit et par semaine). Serviettes de bain et linge de cuisine gratuits. Caution demandée (150 euros par chèque à l'arrivée, il sera remboursé à la fin du séjour s'il n'y a pas des dégâts). Acompte/arrhes à la réservation. Propriétaire non présent sur place.